I have a skincare goal, and it’s to wear little to no foundation, especially on hot and humid summer days. My skin has seen better days – I’ve suffered breakouts, which, of course has led to not so pretty blemishes. This only means it was time to switch up my skincare regimen and incorporate new products. Fortunately, I was able to try a few products from Paula’s Choice that have successfully helped my skin become better each day. After a short telephone consultation with a Paula’s Choice skincare representative where I addressed my skincare concerns, I was sent over a set of Paula’s Choice skincare products that included a cleanser, oil-absorbing mask, exfoliator, and vitamin C serum. Clean skin is the pathway to better looking skin, so I always start my skincare regimen off with a good cleanser. The Paula’s Choice RESIST Perfectly Balanced Foaming Cleanser, which is formulated for normal, oily, or combination skin is beyond amazing! 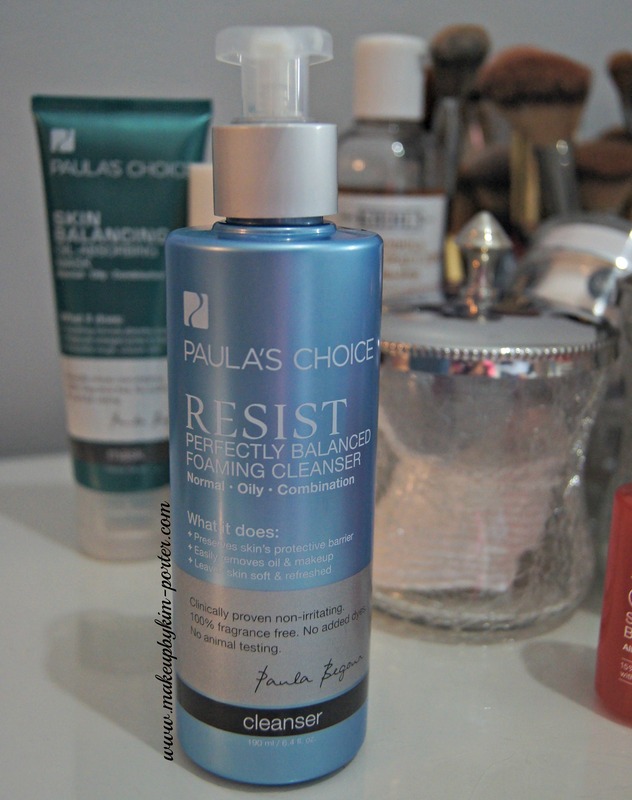 I swore I had a HG cleanser until my skin met this Paula’s Choice RESIST cleanser. I love that it leaves my skin clean without feeling stripped, and my skin is amazingly soft afterwards. The fact that it doesn’t have fragrance is a plus. For me, during the warmer months, my skin can become an oily mess. At least twice per week, I’ve incorporated the Paula’s Choice Skin Balancing Oil-Absorbing Mask into my regimen, which is also formulated for normal, oily, or combination skin. I thought my skin was soft and smooth post cleansing, but using this mask afterwards made it even softer, if that’s even possible. The only thing I noticed that I didn’t like with this mask was the intense tingling I felt during the first few uses, which made me rinse it off earlier than the recommended 10-15 minutes; however, I was still happy with the results from using it. 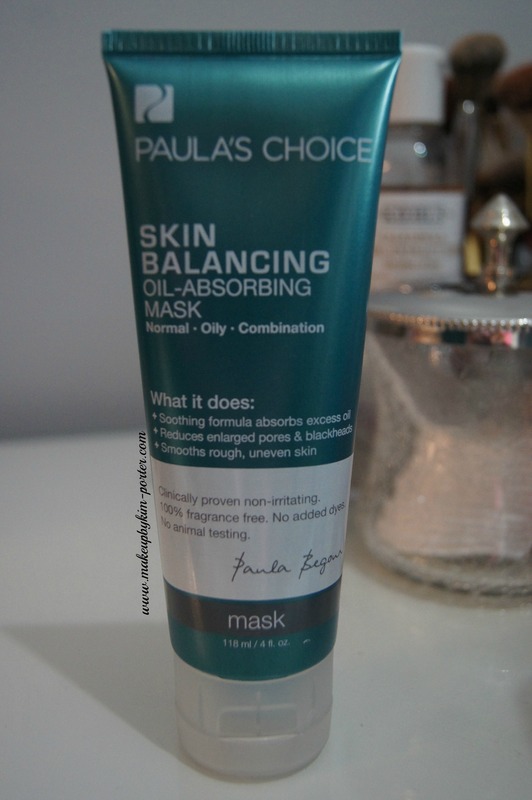 After the mask, I would exfoliate using the Paula’s Choice Skin Perfecting 2% BHA Liquid. It’s a clear liquid formula that’s easily applied to my skin with a cotton round, and left on to dry. I’ve found that I like to use it at night because I’ve noticed that during the daytime, my skin would look a bit oily. However, when using it at night, I wake up with beautiful, smooth and glowing skin. After cleansing, applying my mask, and then exfoliating, I would follow-up with my favorite toner, and then use a serum. 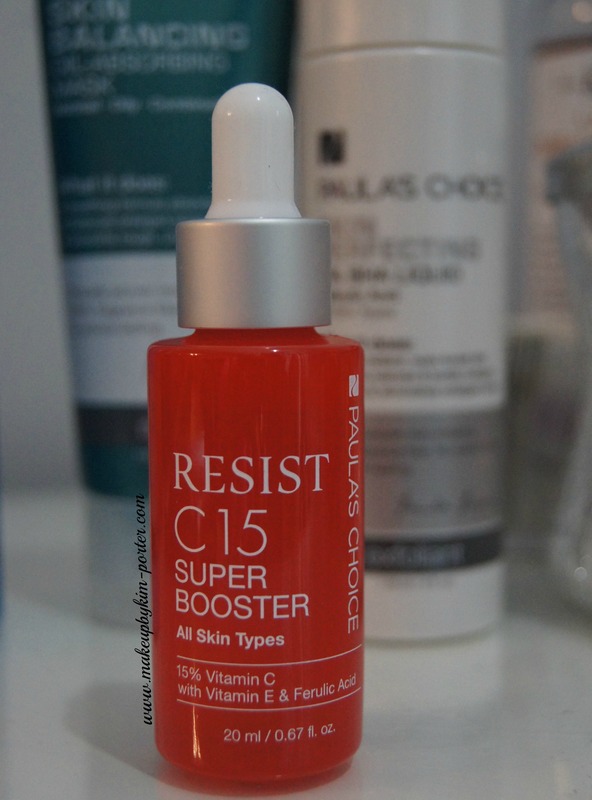 My new regimen consists of adding two drops of Paula’s Choice RESIST C15 Super Booster, which is a combination of 15% Vitamin C with Vitamin E & Ferulic Acid. This serum helps reduce brown spots and brightens skin. My dark spots have lightened, and I’m sure that with continued use they will seem less visible. It’s seriously the icing on the cake, and an important step in my skincare regimen. After applying that, if it’s daytime I’d apply my favorite SPF moisturizer, or at night apply an overnight mask. I’m so happy with my skin at this point. I’m confident that with continued use of Paula’s Choice skincare products, my skin can only improve even more. I can’t wait to try out more products from the line. Paula’s Choice skincare products cater to any skincare concern and/or need. If you suffer from hyperpigmentation, have sensitive, dry, oily, and/or mature skin, there’s bound to be a Paula’s Choice product for you. That said, I would definitely recommend scheduling a free skincare consultation with a Paula’s Choice aesthetician by calling 1-800-431-4088 to help you find the right products for your skin. 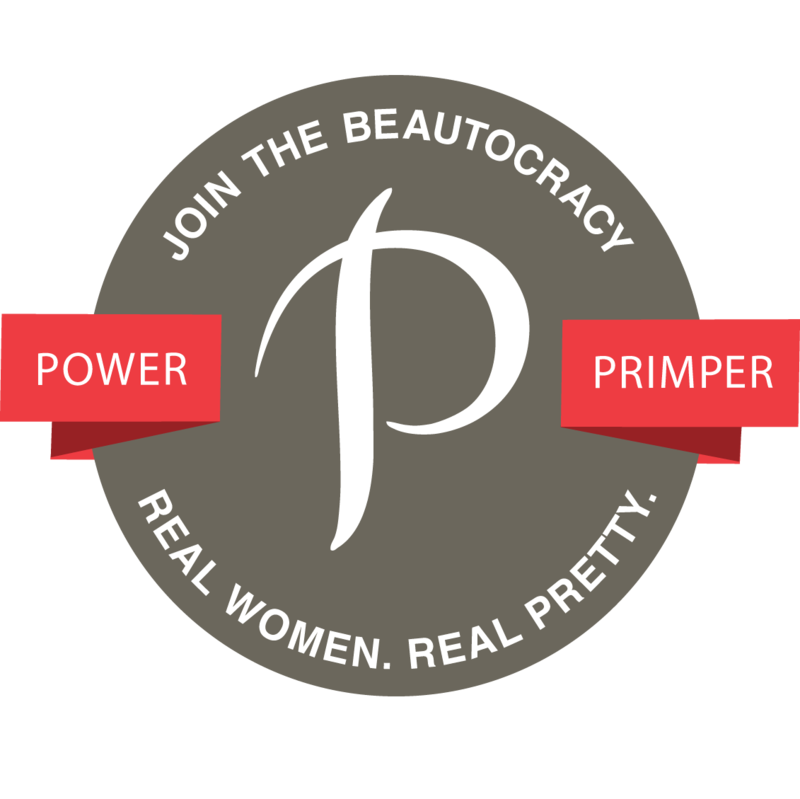 As a Power Primper with Pretty in my Pocket (download their app here), Paula’s Choice is giving Makeup by Kim Porter readers a chance to try out their products at 20% off + FREE shipping when you click here, click the ad above, or use the code PRIMP20 at checkout. Act fast because this offer expires on June 30th! I probably could have benefited from that oil mask, it has been a whole new level with this heat heheh. I am still loving my PC skincare! I liked most of PC products that I tried. They are really great about formulating with safe and effective ingredients! I feel like now that I'm in my 30's, I don't know my skin anymore! I've never heard of this brand, but I may try it bases on your review. My recent post Happy Father’s Day…Mom? Thanks for the discount code – I keep reading such wonderful reviews of Paula's Choice and I'm so intrigued!! I'm a PC Skincare addict! I have heard such great things about Paula's Choice! Love Paula's Choice products. I have a number of them. These products look amazing. I haven't tried anything from this brand yet. I have changed my opinion of Paula's Choice around. I'm now a fan of her skincare and want to try the consultation. My recent post You will SWOON over this giveaway! I've been a fan of Paula's Choice for a while. I actually think I'd love that tingling mask! I'm weird that way, though. Sounds like a pretty good regimen for foundation-free skin this summer! I'm happy with my Paula's Choice skin care items! Probably going to snag your code to restock! I haven't seen even ONE negative review of PC skincare! it looks amazing! My recent post Maybelline The Blushed Nudes Palette Swatches, Review, EOTD + Giveaway! I would LOVE to try out that mask!! 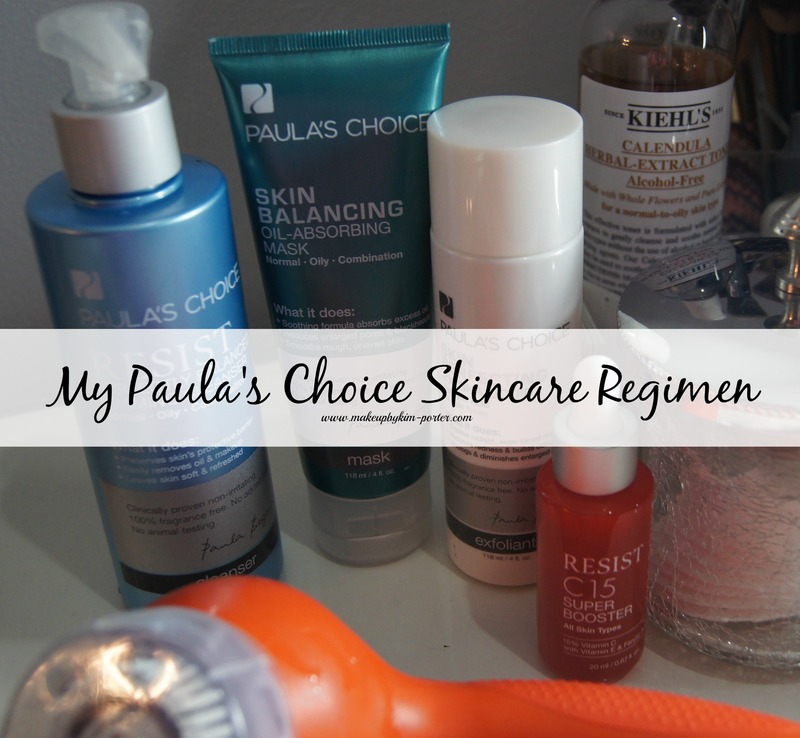 I hear so many great things about Paula's Choice skincare – definitely something I'll check out. Oh man I need to try out that mask. my skin has been really oily as it's been getting hotter! Sounds like this is pretty good stuff. I hadn't heard of this brand before. My recent post What’s In A Word?